If "the book was better" is your BFF's motto, this gift guide is for you. Find her the perfect gift that speaks to her literary-loving soul. 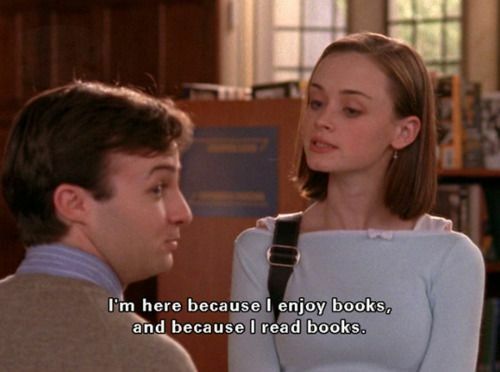 We'll try to keep the Rory Gilmore references to a minimum, but honestly she's the epitome of a bookworm babe. If your BFF is anything like us (or Rory), her ideal night is cracking open a new book with a glass of wine (or coffee). Check out some of our fav gift ideas that we know she'll love. Handmade by fellow book lovers in Lexington, Michigan, this coffee is the perfect addition to your BFF's caffeine fueled binge reading. With so many books and so little time, this coffee will give her the energy to finish all the novels on her "to read" list. Who needs sleep anyway. TBH, being called well read is the highest form of flattery. Make sure everyone knows how sophisticated your BFF is with this graphic tee. Rupi Kaur is the voice of our generation. This book is so relatable your BFF will read and reread this throughout her life. Milk and Honey is a collection of poetry about life's heartbreak, joy, pain and triumph. This is a 2017 bestseller and we know why: Kaur is able to simply but powerfully express the collective experience of young women everywhere. If your BFF's idea of a party is curling up on the couch with a good book and ignoring the world, this pin is for her. This letterboard is fully customizable and small enough to fit on your bestie's desk. She'll love displaying her favorite quote from whichever book she's reading that week. This adorable phone case is perfect for the Rory Gilmores of the world. Get this for the girl who has her nose buried in a book and a cup of coffee in her hand. She'll love you for it, trust us. Have you ever tried drinking a glass of wine while reading the bath? We have...and while it's relaxing, it's not always the easiest thing to maneuver. We aren't sure what's worse: spilling wine in the bathtub or dropping your book in the water. Make sure your bestie has a place to put her full wine glass easily within reach. How many times has your BFF loaned out a book and never gotten it back? She can be official AF and create her own personal library to keep track of all fav novels. She'll love the vintage vibe of this kit, and honestly, there's nothing more rewarding than stamping the date on the return card. These matchbox sets are the perfect edition to the book scented candle. Not only will these look super cute on her bedside table, they'll also speak to your bestie's ~rebellious~ side; each set is modeled after a classic banned book. There's nothing better than a good book, a cup of coffee and some fuzzy socks. This pair from Old Navy comes in a bunch of different animals (we're obsessed with the polar bears) AND they're only $5. Sold. ...and by do your thing we mean read more books. This bag is perfect for trips to the bookstore or library; your bestie won't have to worry about walking home with a towering stack of books anymore. Is there anything better than the smell of old books?! If your BFF is anything like us, she's somewhere relaxing with a book (or 10). This candle will transport her to an antiquated, oak-paneled library filled with leather bound classics. This Etsy shop has a bunch of book themed candles: some of our favorites include "the archives", "rainy day reads", and "christmas at the burrow". The Harry Potter books are some of the top selling books of all time. (Fun fact: The Sorcerer's Stone has sold over 107 million copies). It's a safe bet that your BFF loves the series as much as we do. We all know what Hogwarts house we would be in (thanks, Buzzfeed! ), and now your bestie can dress the part. Each shirt is inspired by their respective house's crest and colors, so she can rep her squad proudly.